Breaded chicken breast with tomatoes and mayo. Grilled chicken breast, garlic paste stuffed with French fries and pickles. Grilled chicken breast, rich BBQ sauce topped with sliced tomatoes and lettuce. Sliced turkey, ham, bacon, cheese, lettuce, tomato and mayo. Fresh avocado, thyme (zahtar), Greek feta cheese, olive oil, lettuce, and pita chips. Ground chickpeas fried with lettuce, tomato and tahini sauce. Marinated meat with lettuce, tomato, onions served with tahini sauce. Marinated meat with lettuce, tomato, onions and tahini sauce. 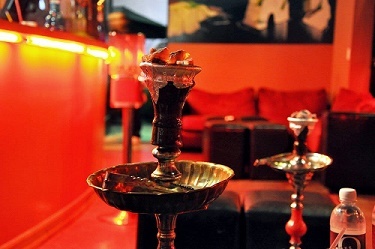 Cafe O is rated by many to be the best Hookah Bar in Los Angeles, CA. We take pride in providing you with the highest quality hookah you can find anywhere in California.